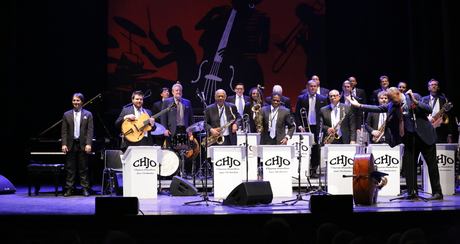 The Clayton-Hamilton Jazz Orchestra (CHJO) is an awesome machine that has flourished over the course of 32 years under the inspired and dedicated leadership of John Clayton, Jeff Clayton and Jeff Hamilton. CHJO received its second Grammy nomination for their latest CD “LA Treasures” (Capri Records). CHJO toured successfully with Cecile McLorin Salvant in 2018. The orchestra has recorded with talented artists such as Paul McCartney, Charles Aznavour, Diana Krall, and Queen Latifah, for which John won a Grammy award.